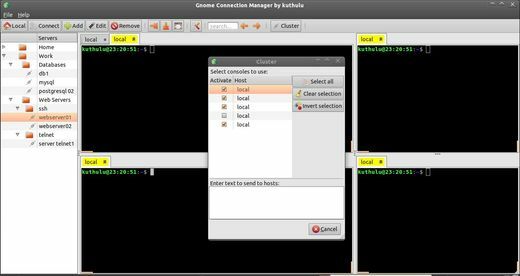 Gnome Connection Manager is a free and open-source ssh connection manager for gtk+ environments. 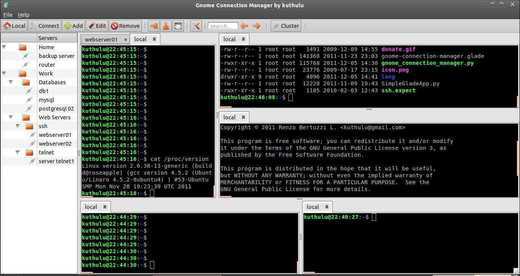 It features multiple tunnels in tabs and unlimited vertical/horizontal window splitting. 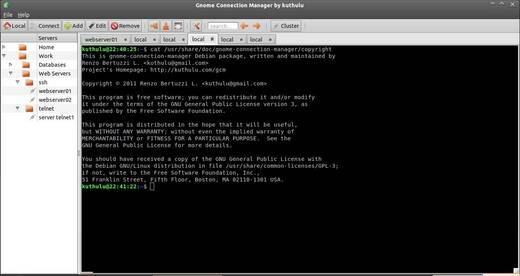 The DEB packages for Ubuntu, Debian, Linux Mint and source code are available in Gnome Connection Manager website.